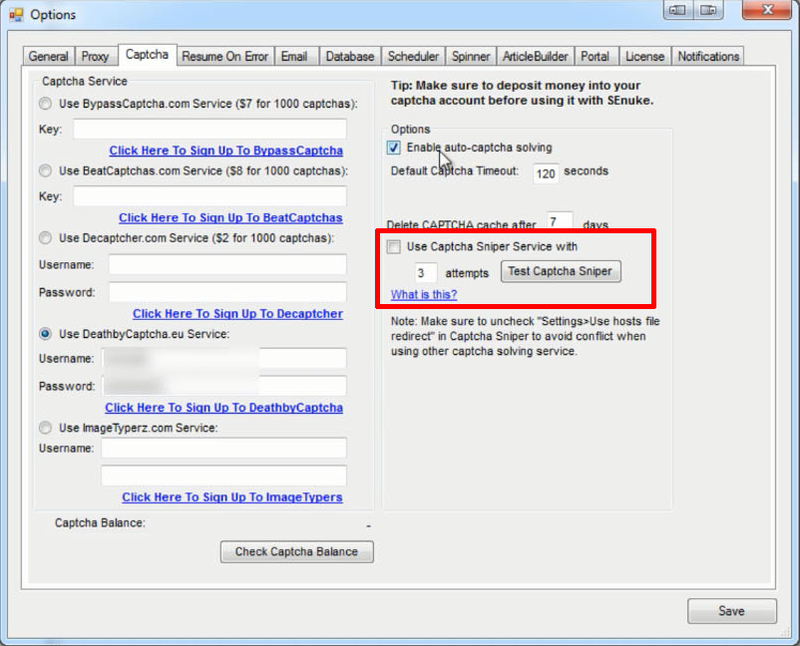 The option to use Captcha Sniper (ancient and outdated tool) can be used here as well as in most other programs that do support that kind of captcha service. Make sure you have the “webserver option” enabled. No captcha services have to be emulated.